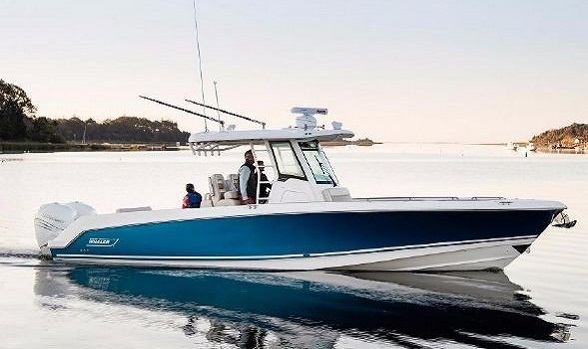 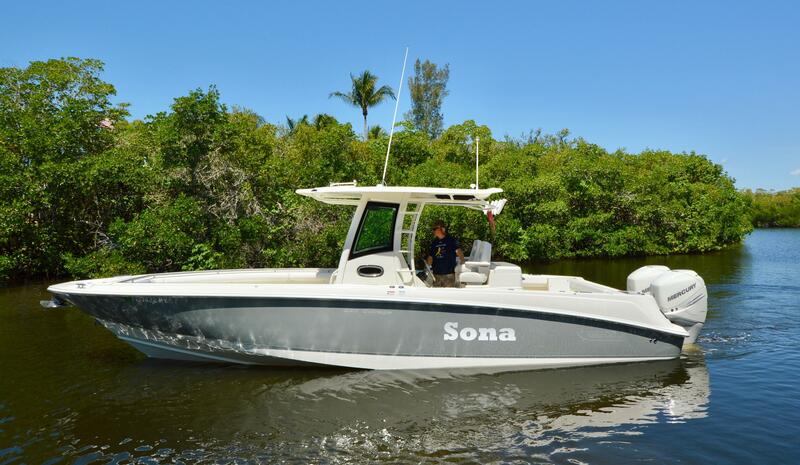 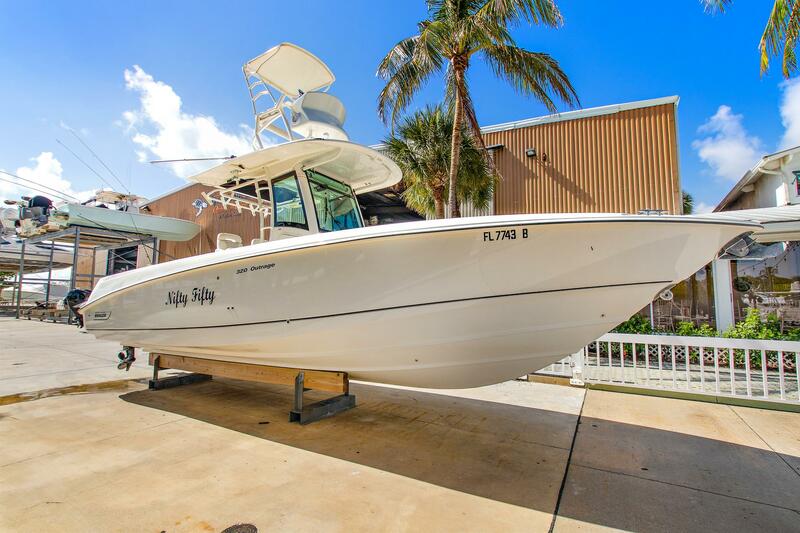 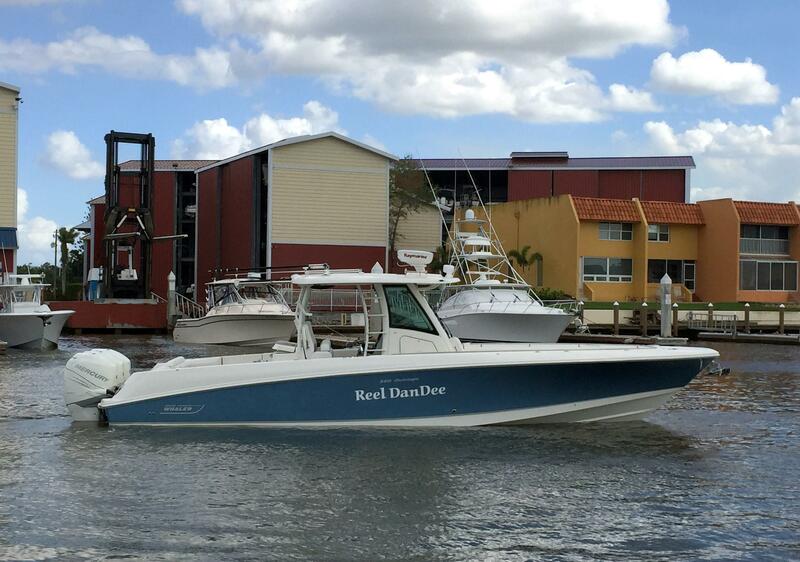 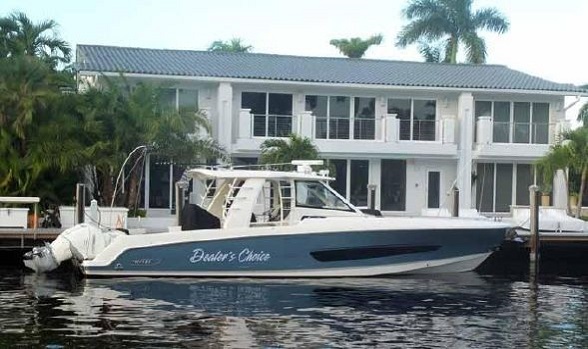 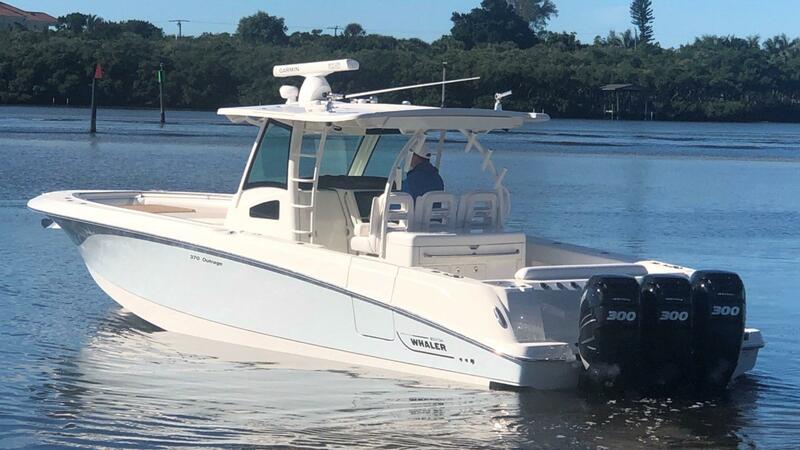 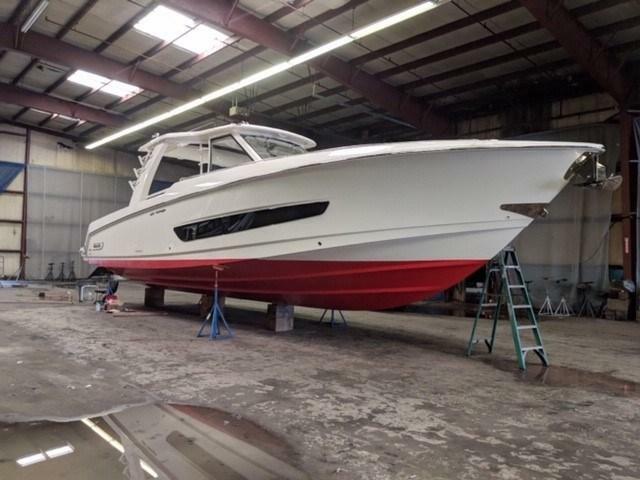 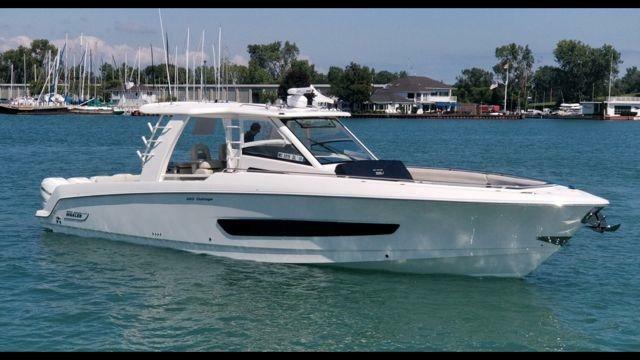 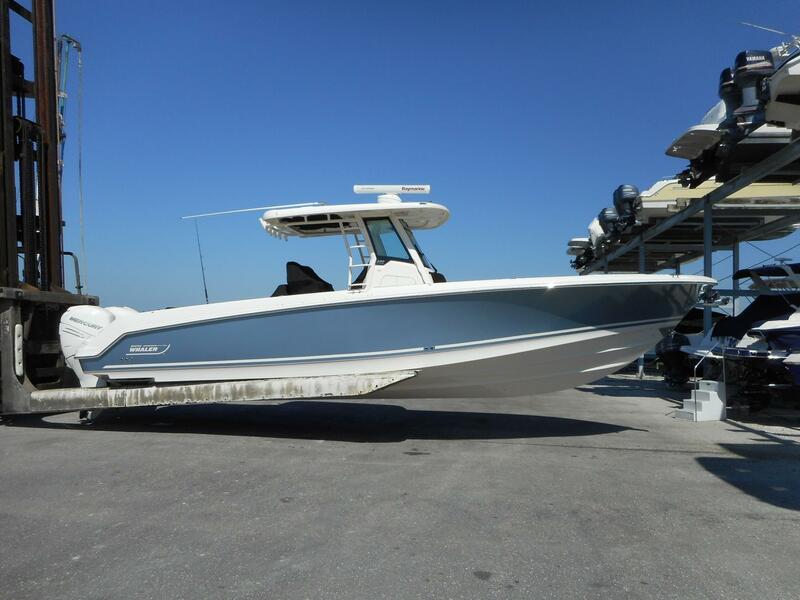 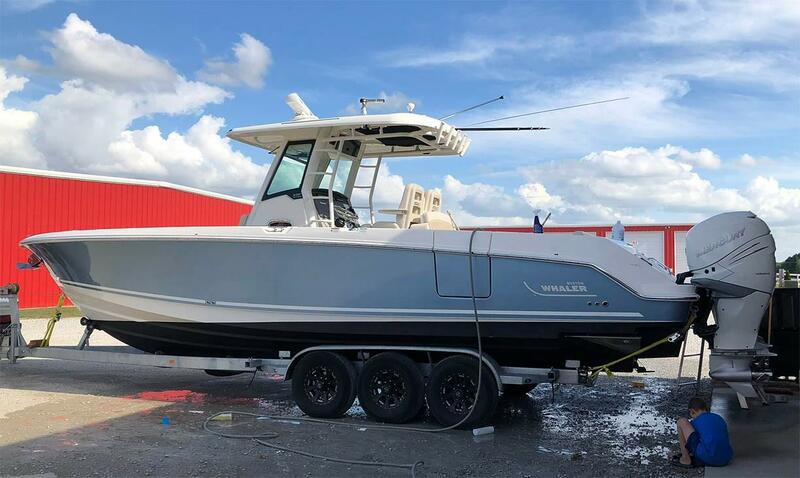 This boat manufacturer has an extremely loyal and large following, which means used Boston Whaler boats that are for sale do not stay for sale long! 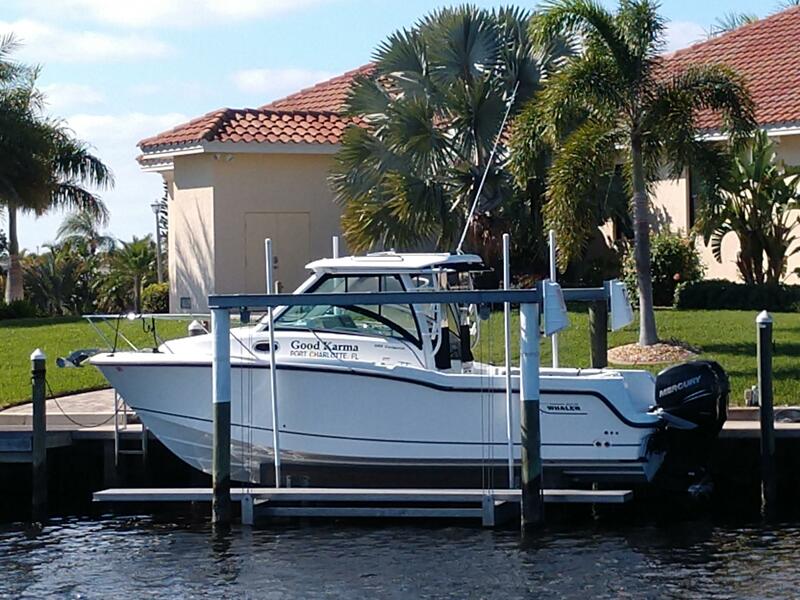 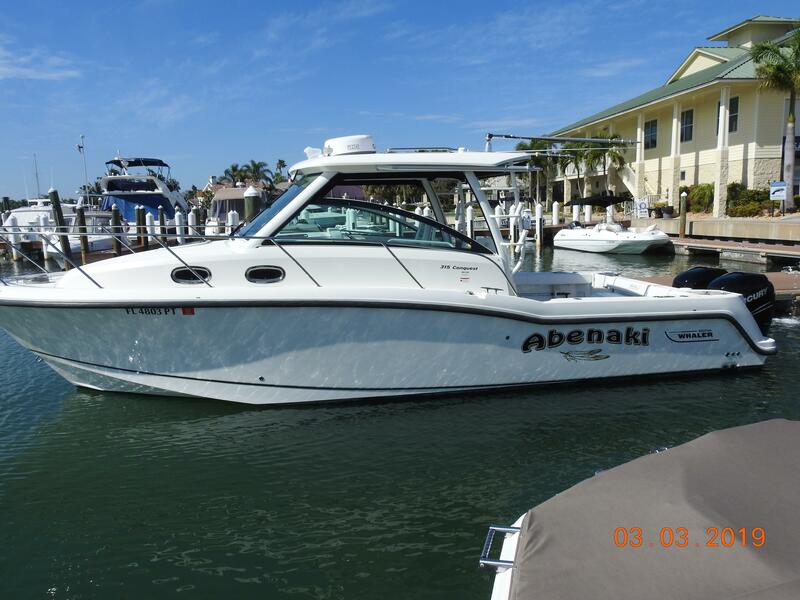 If you see one you like on our website, call us at 561-295-8880 to schedule a showing immediately. 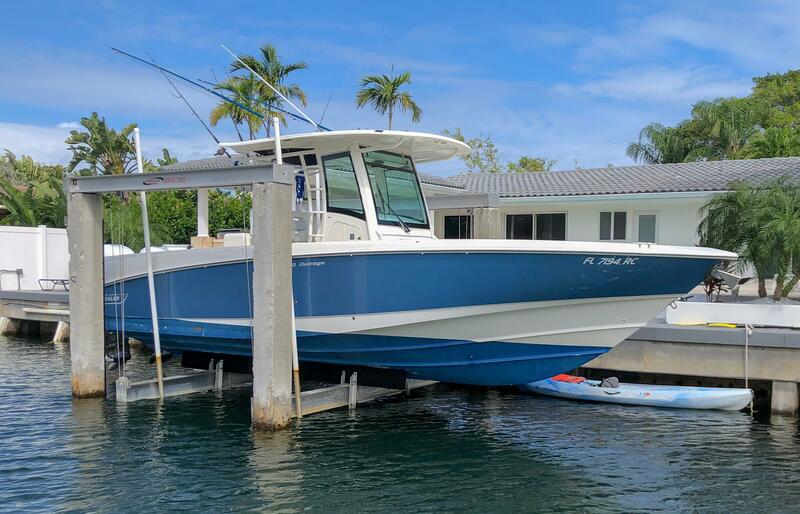 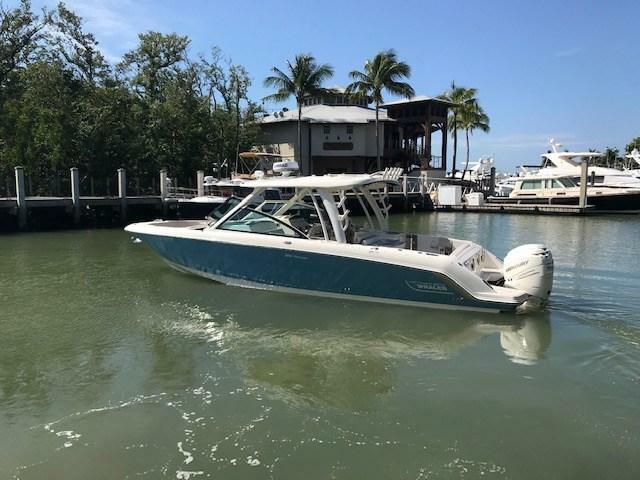 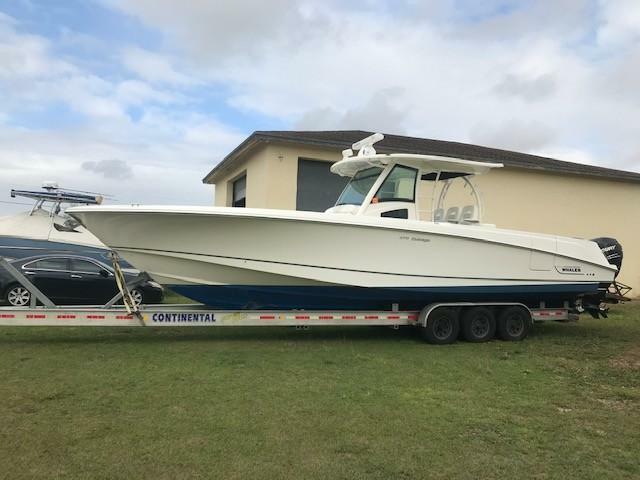 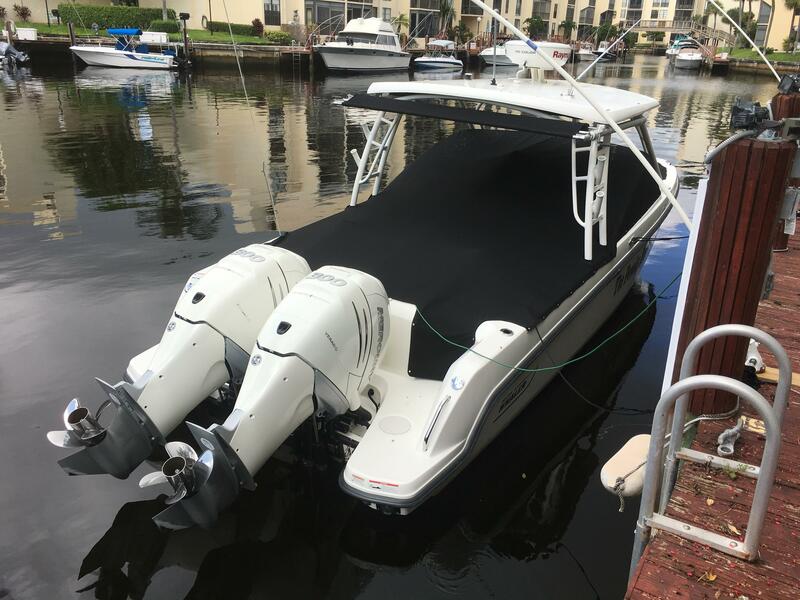 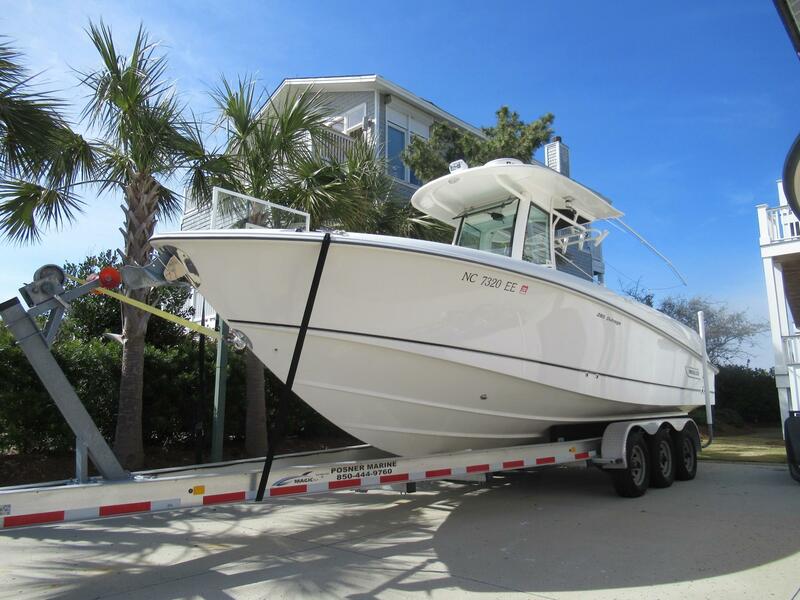 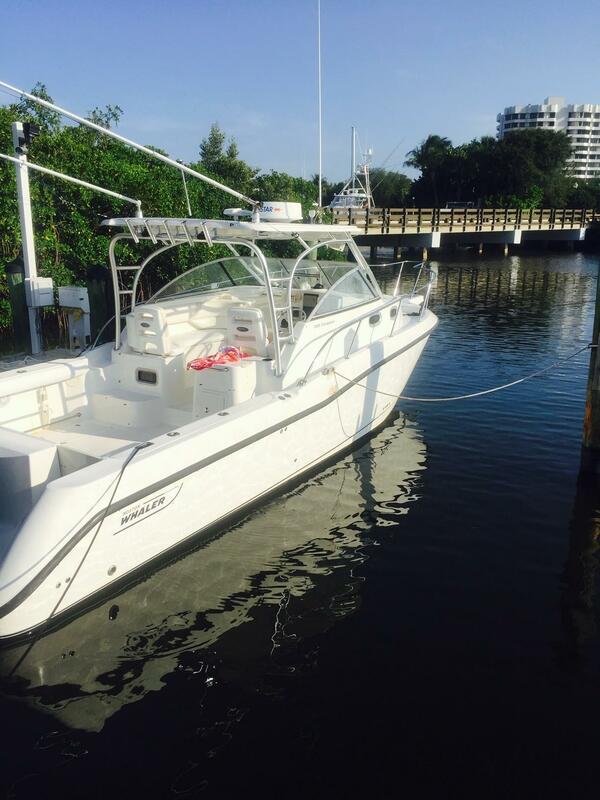 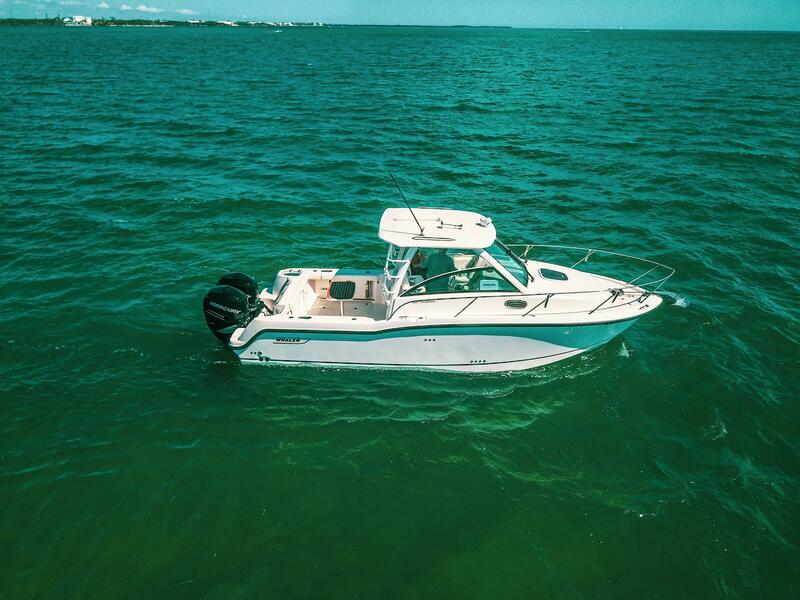 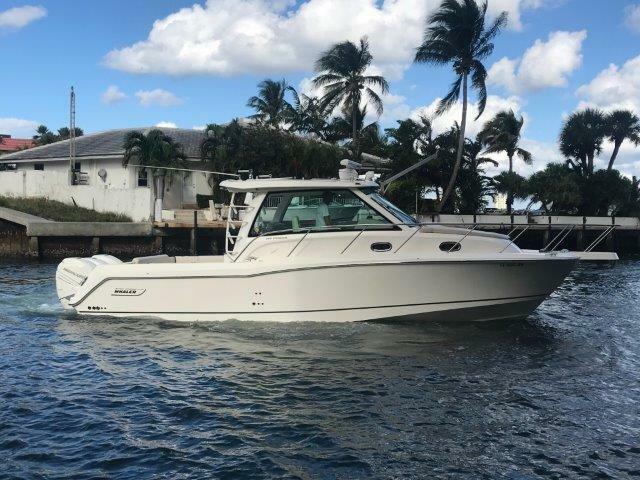 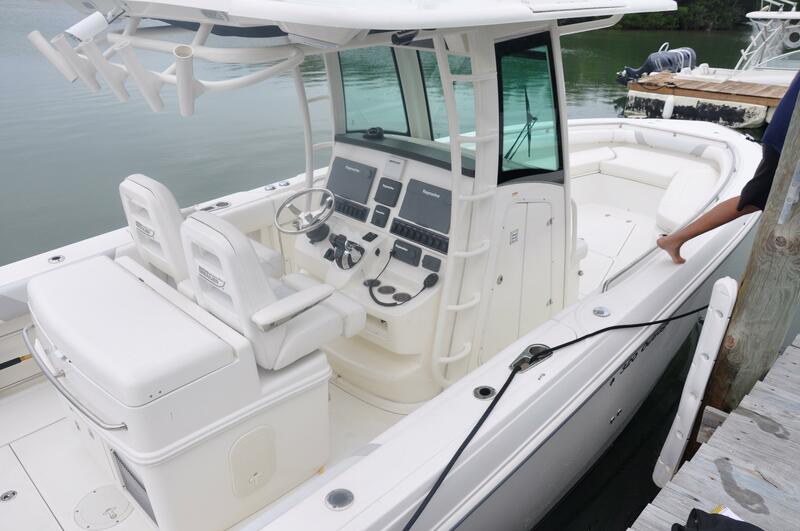 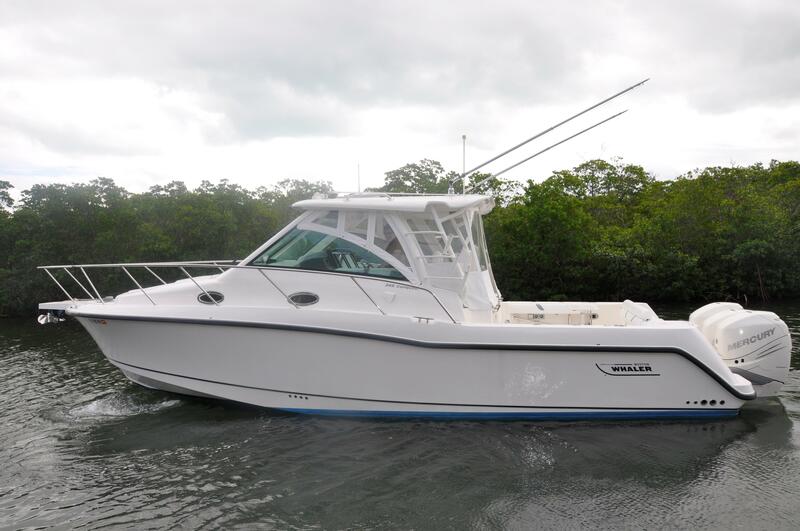 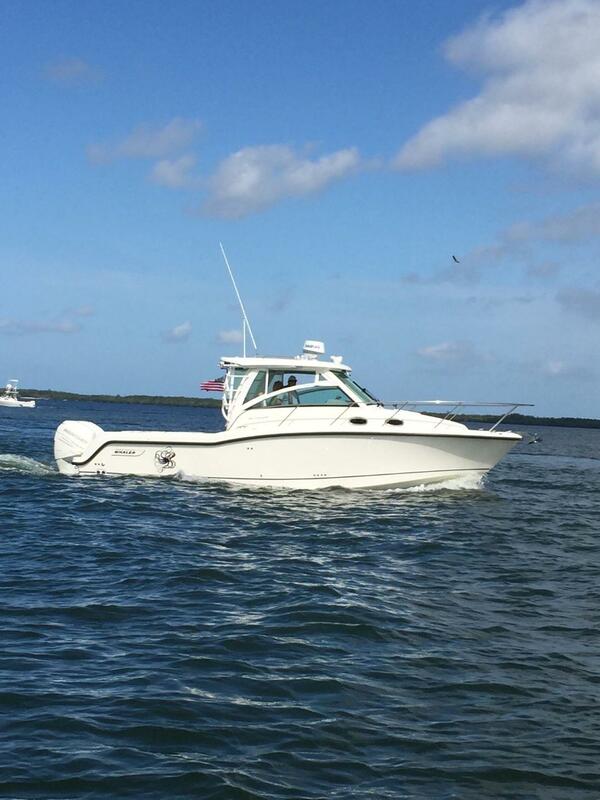 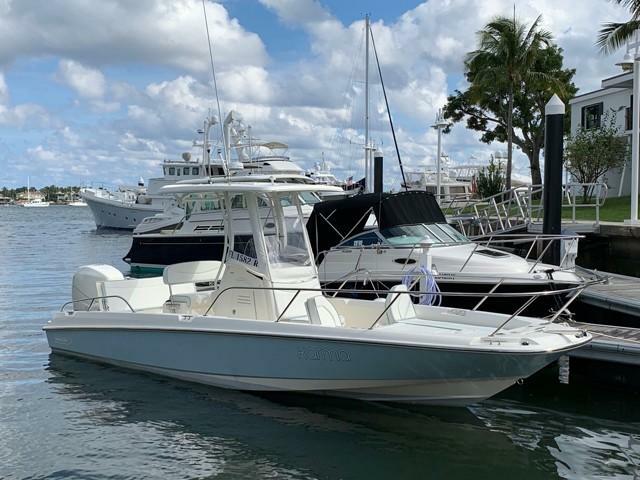 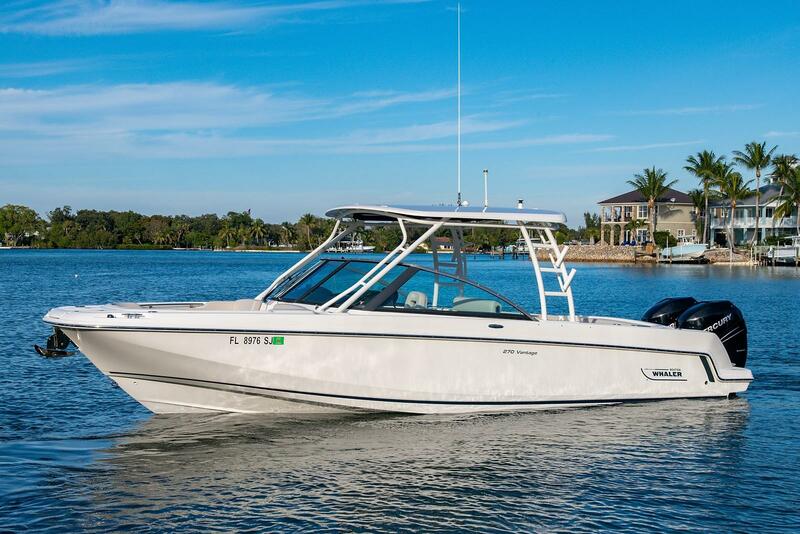 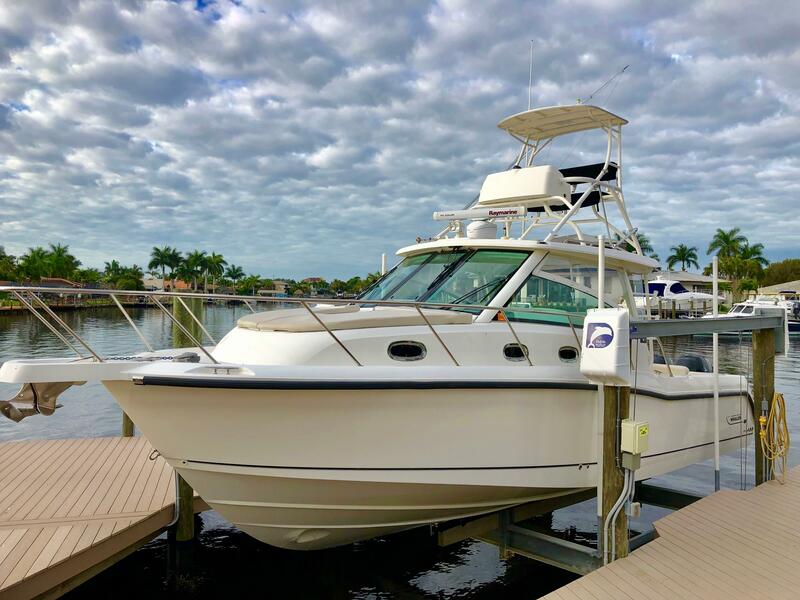 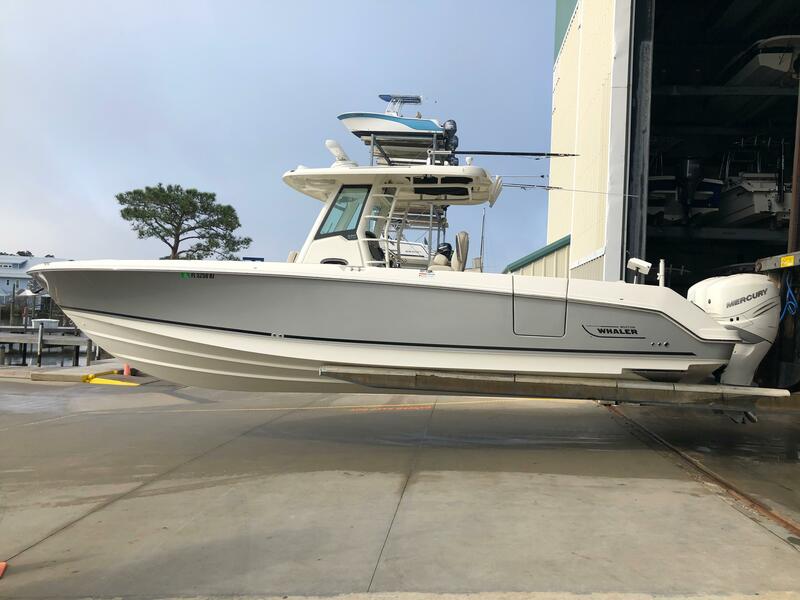 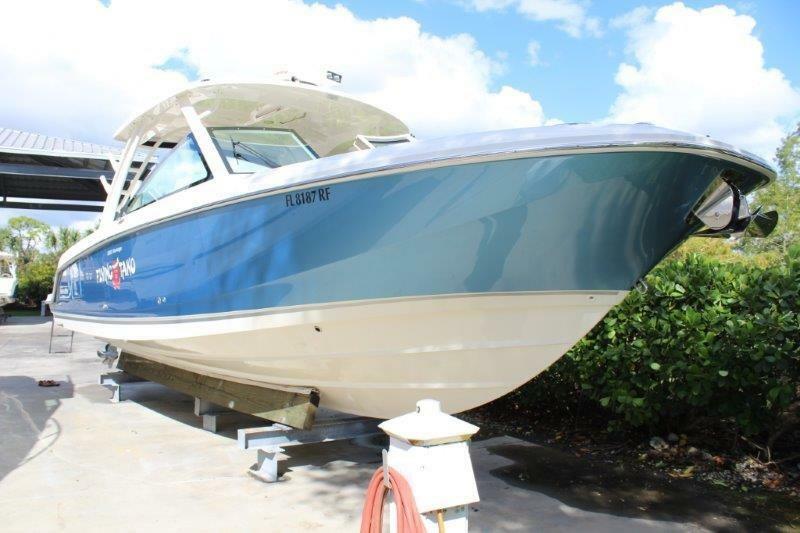 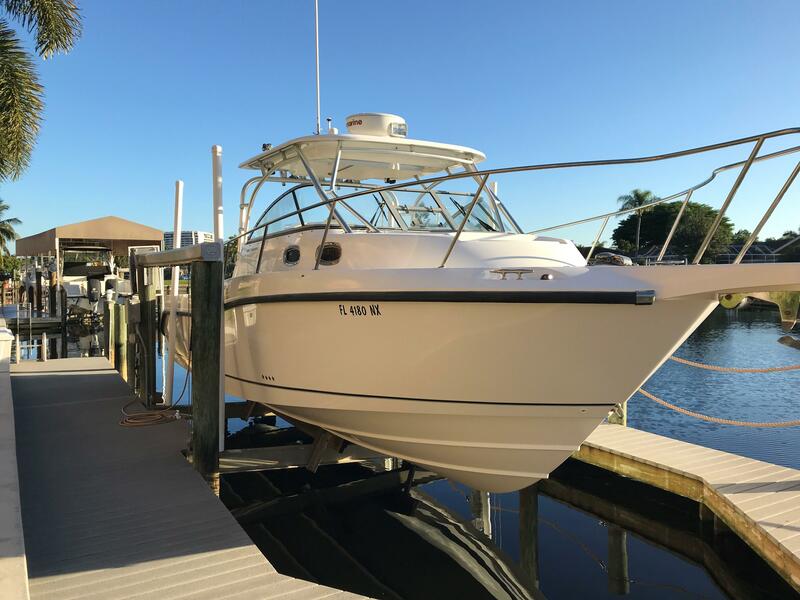 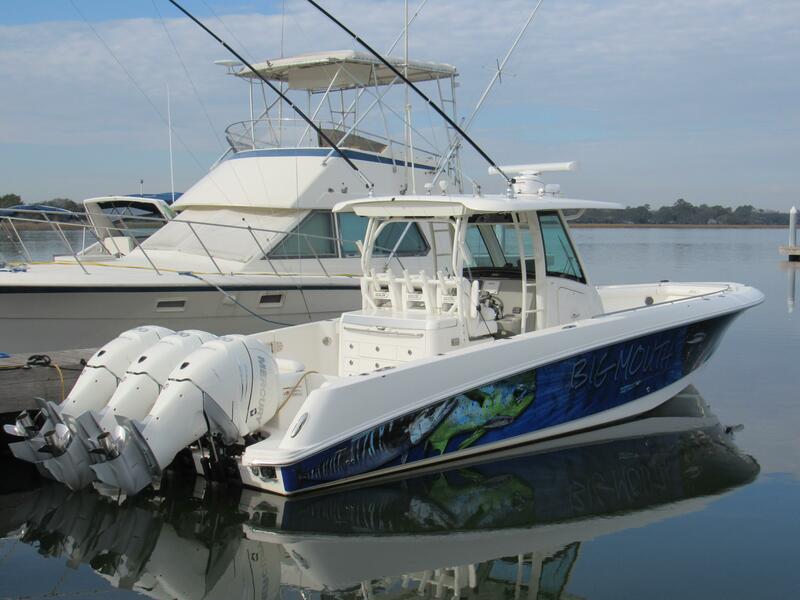 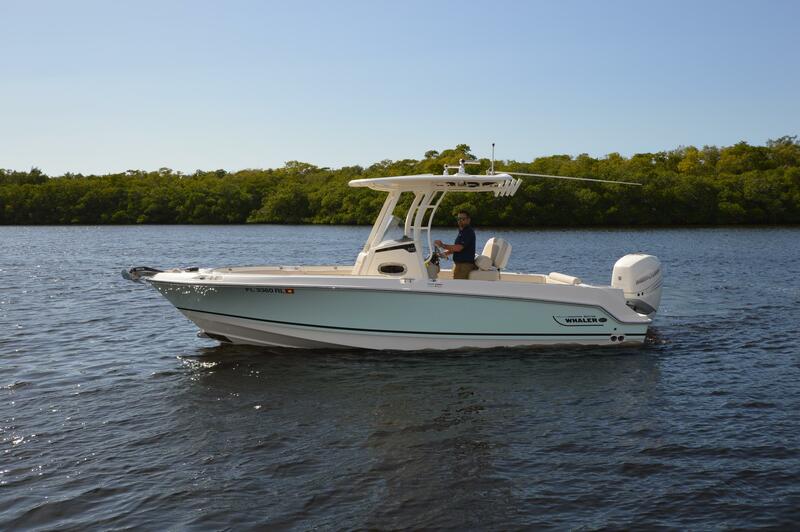 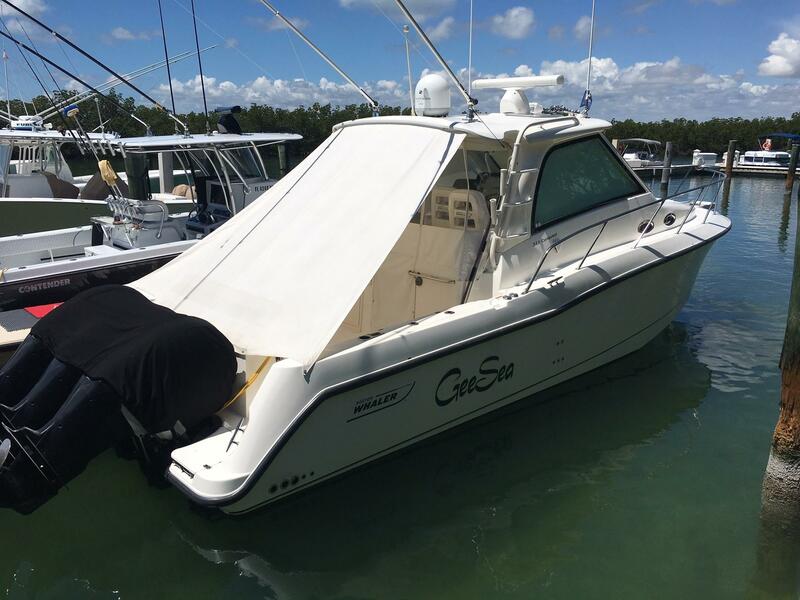 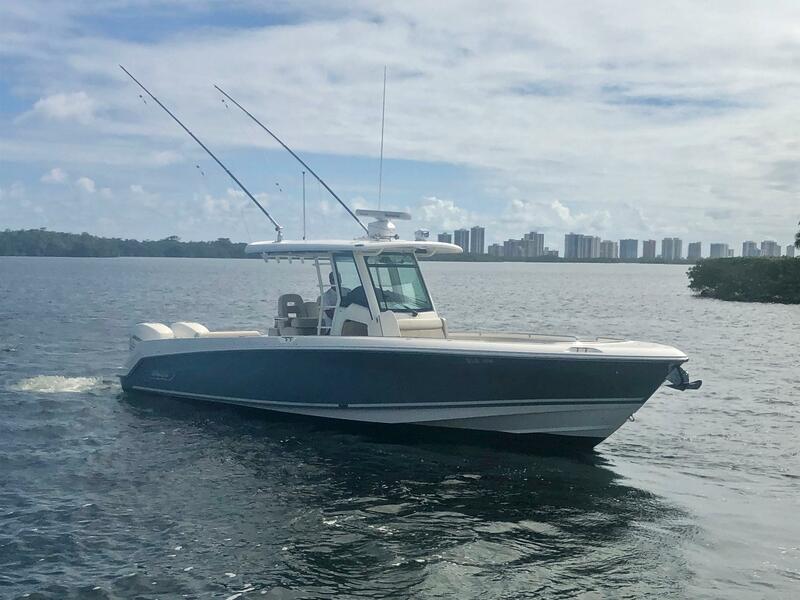 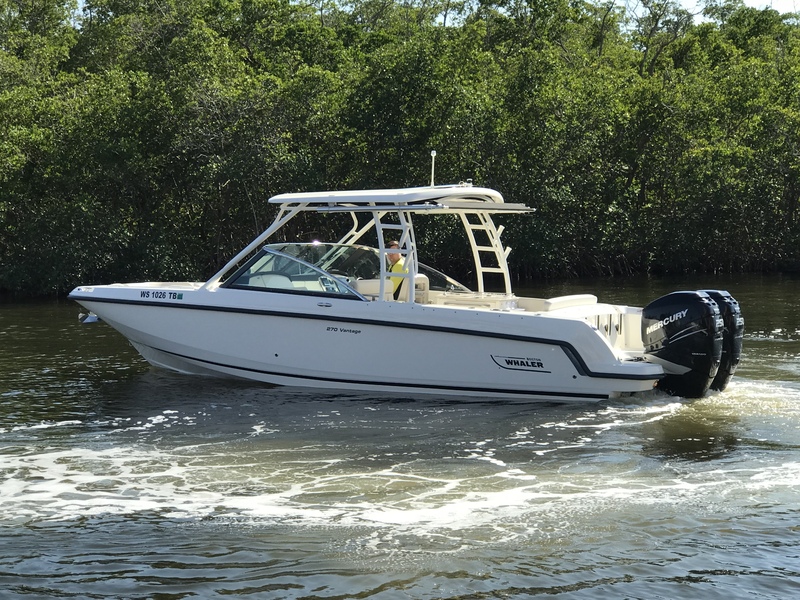 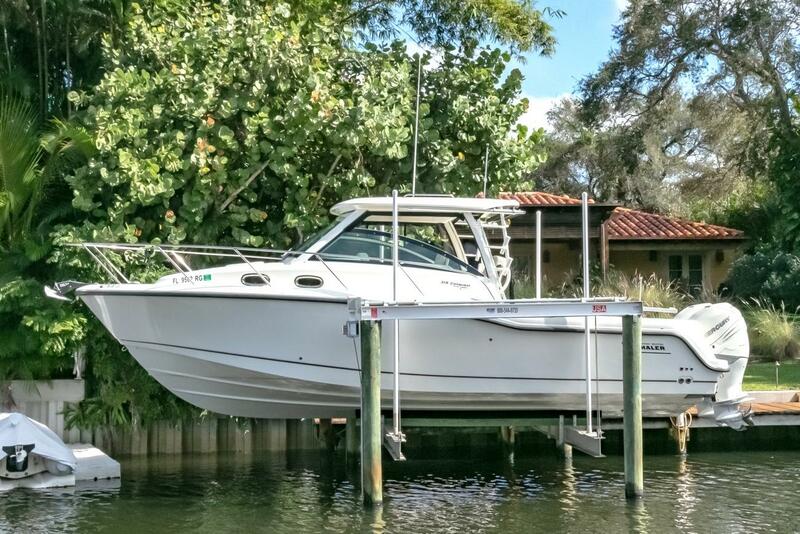 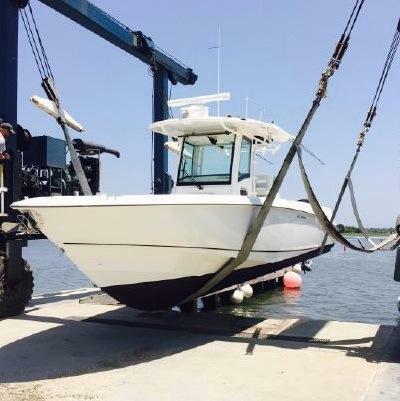 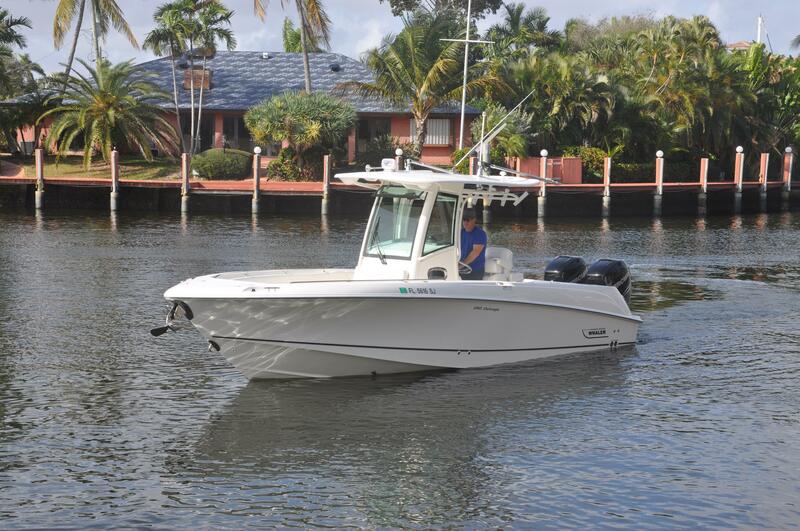 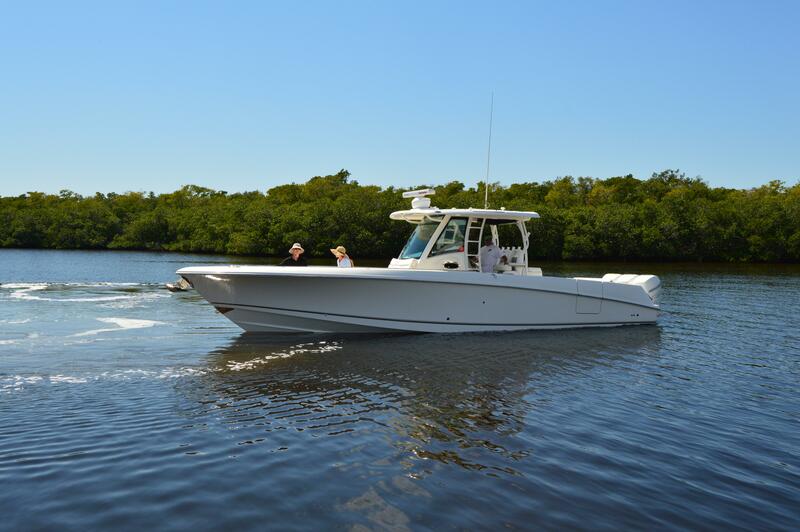 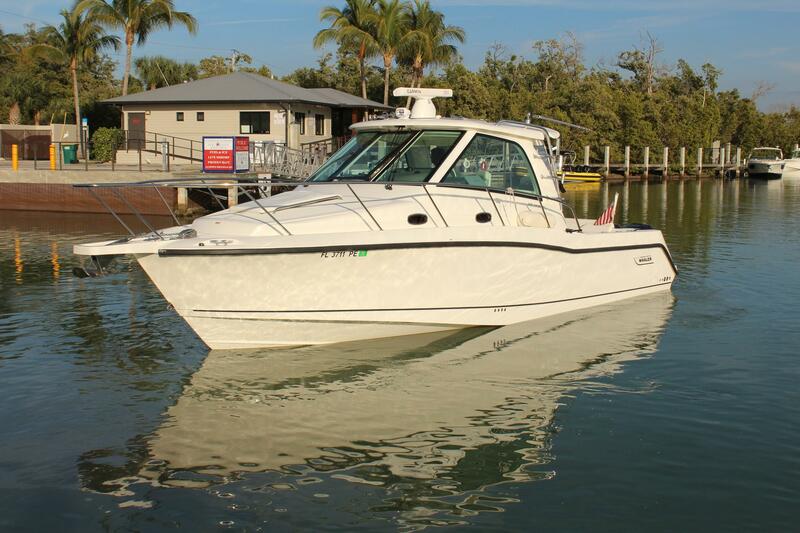 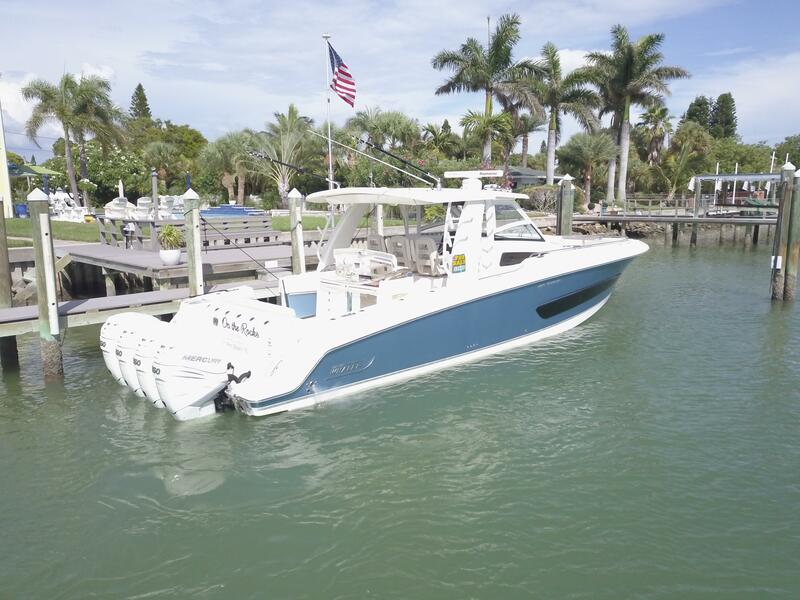 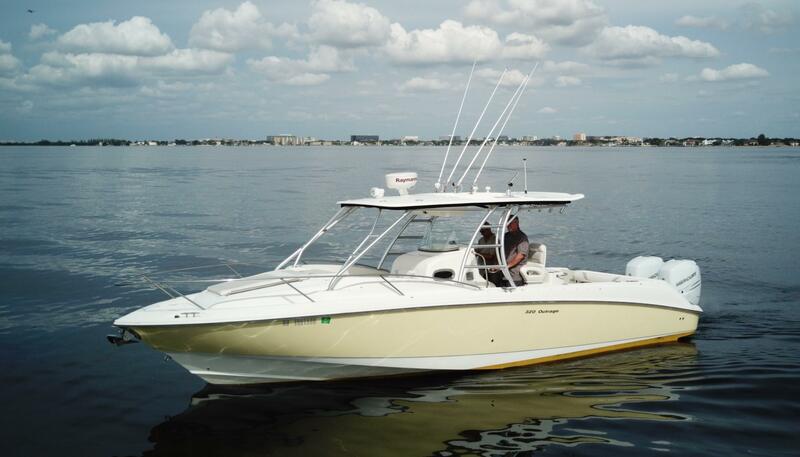 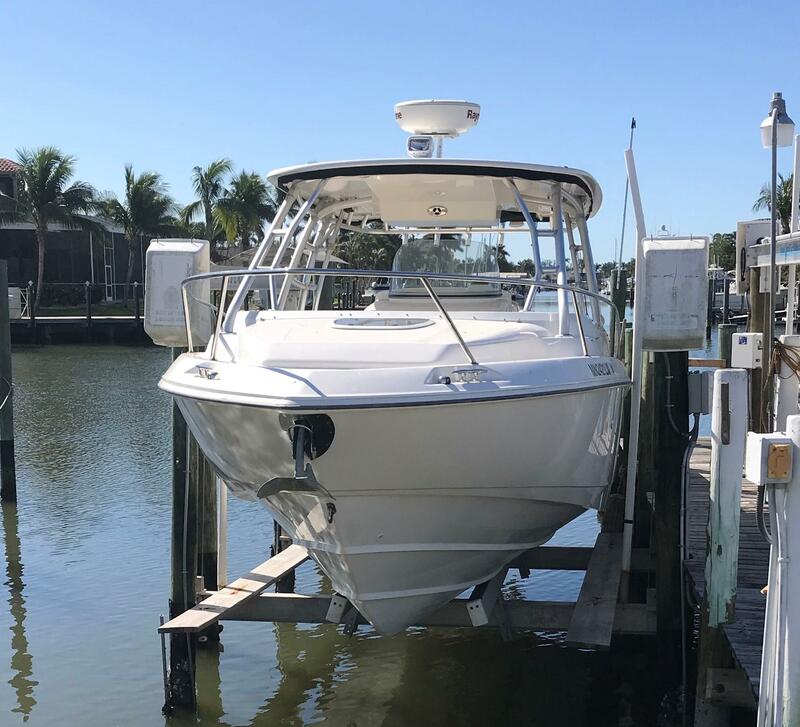 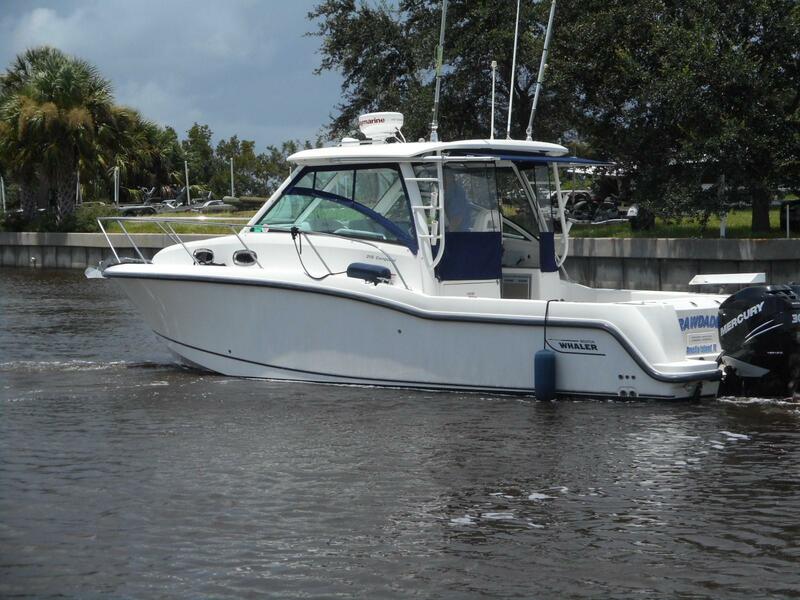 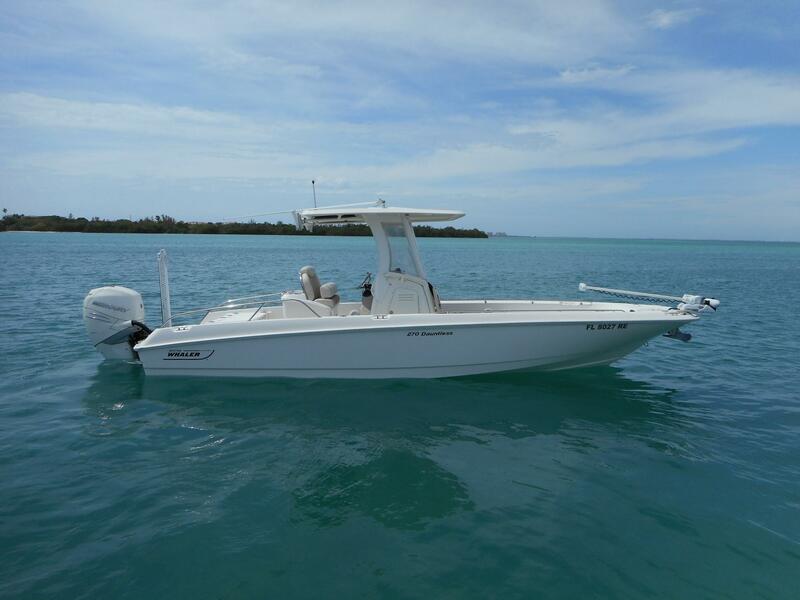 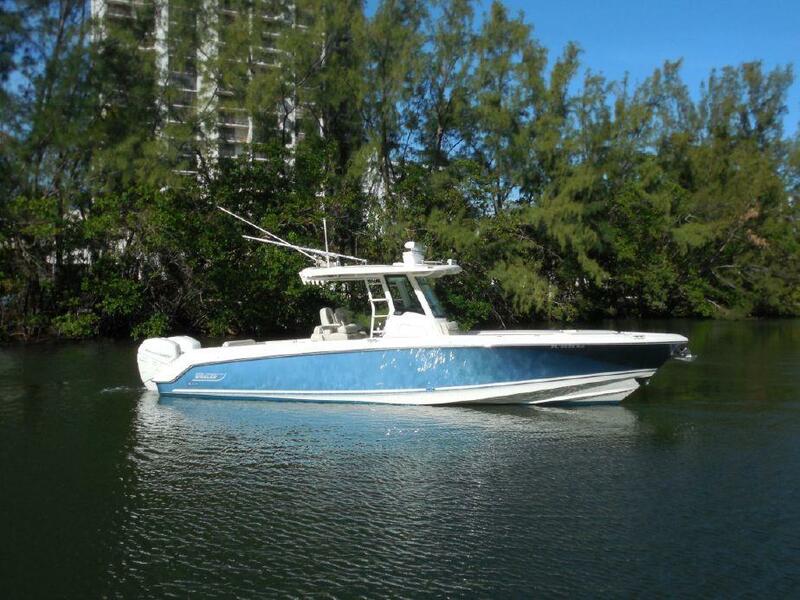 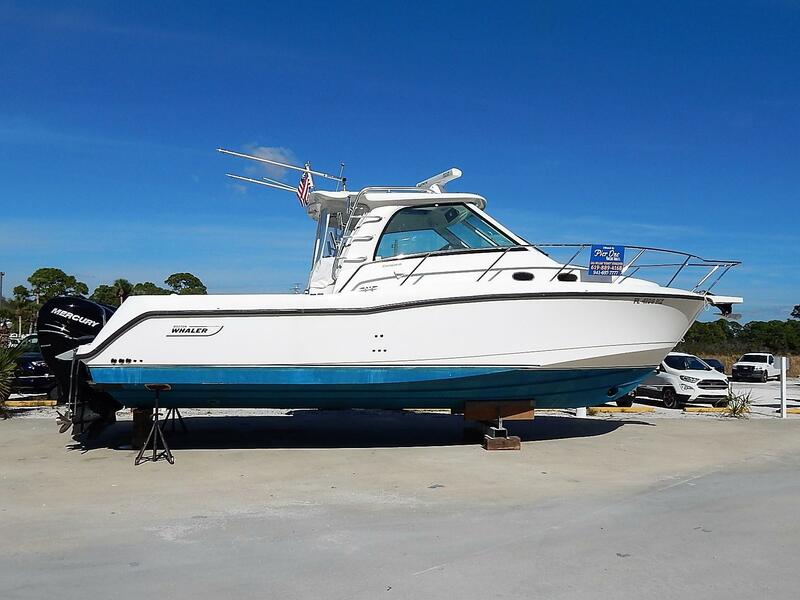 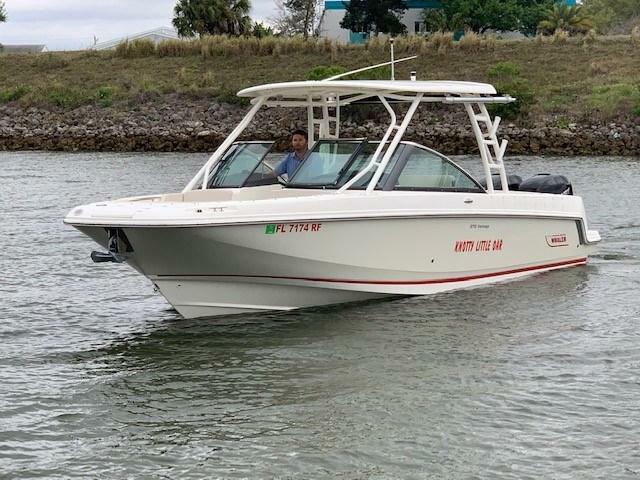 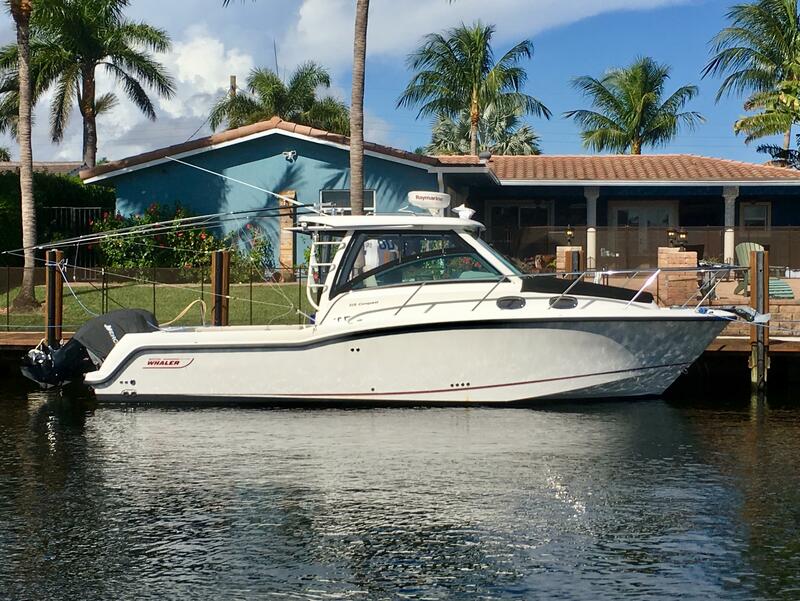 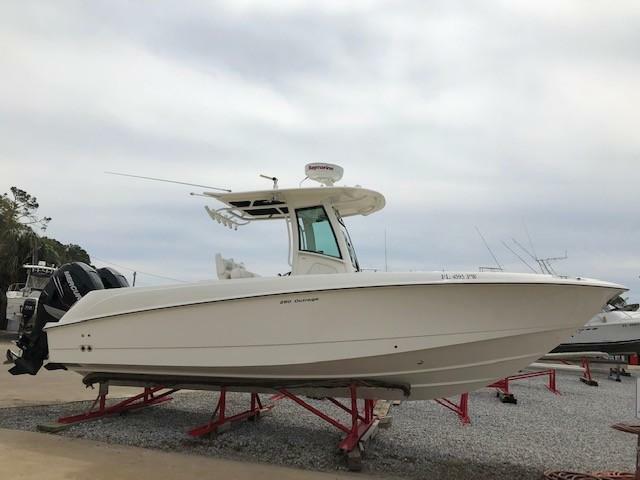 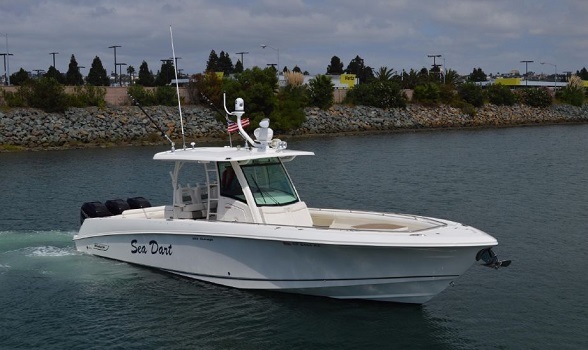 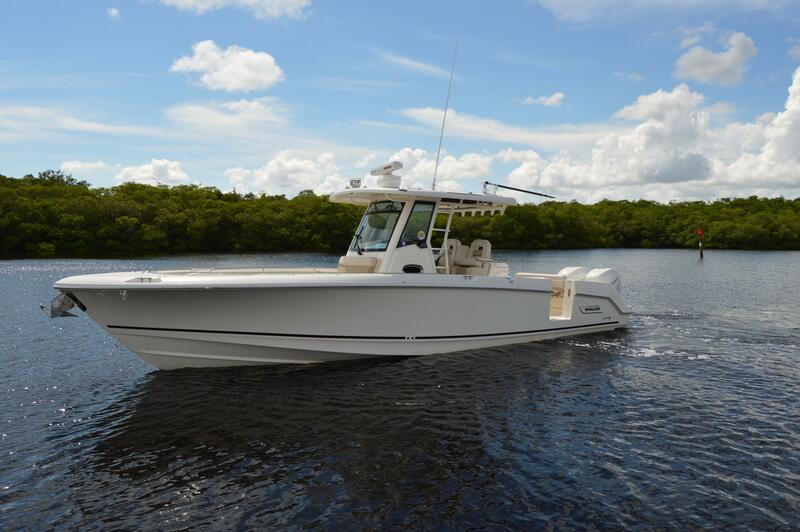 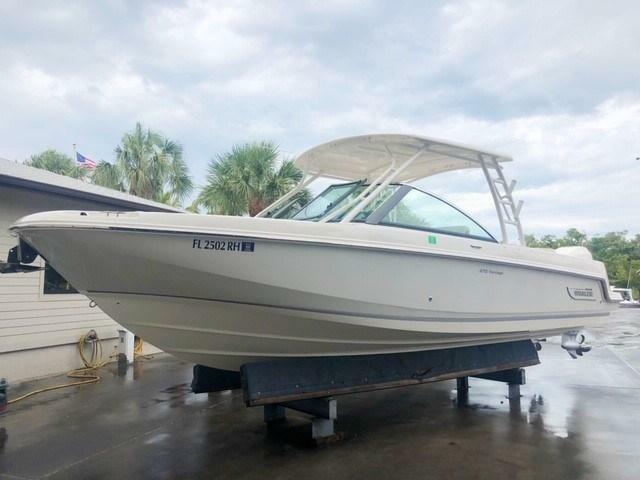 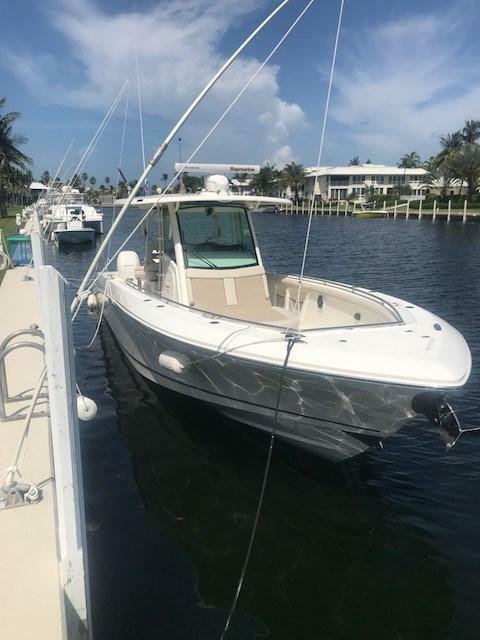 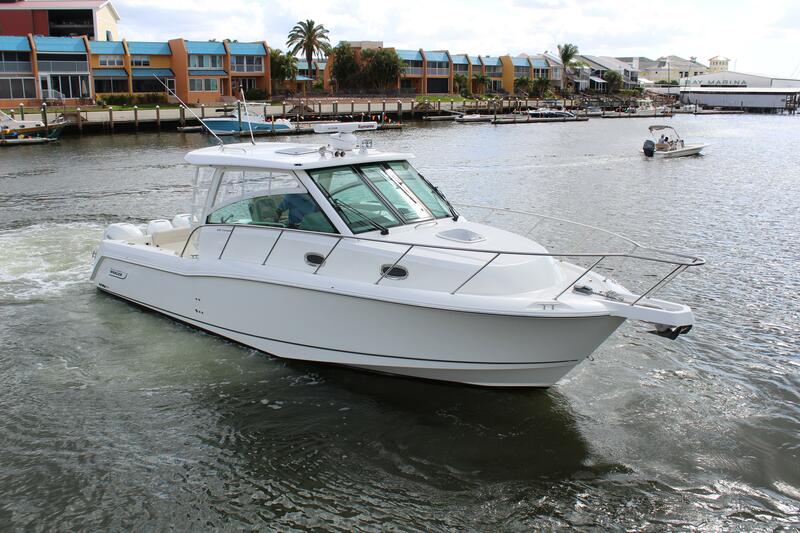 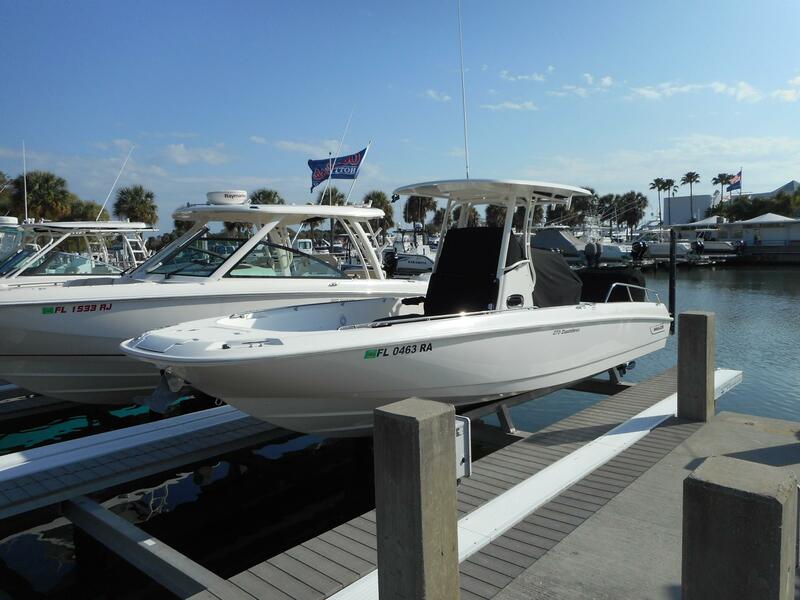 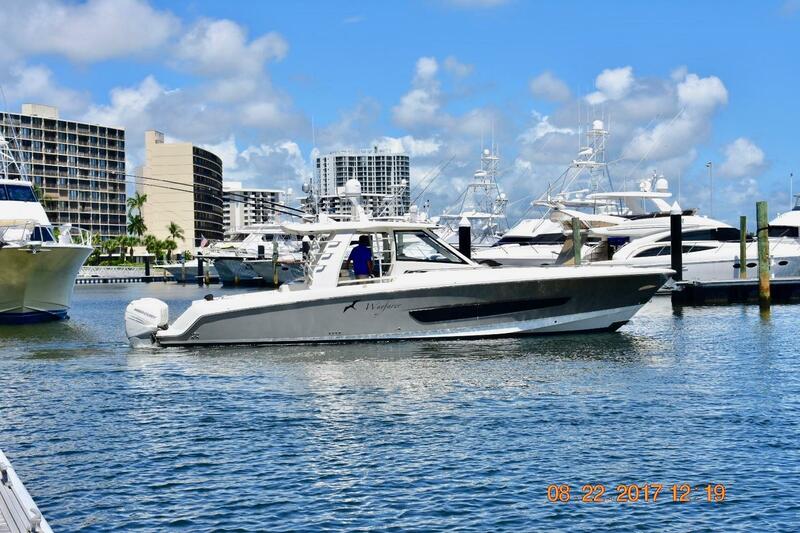 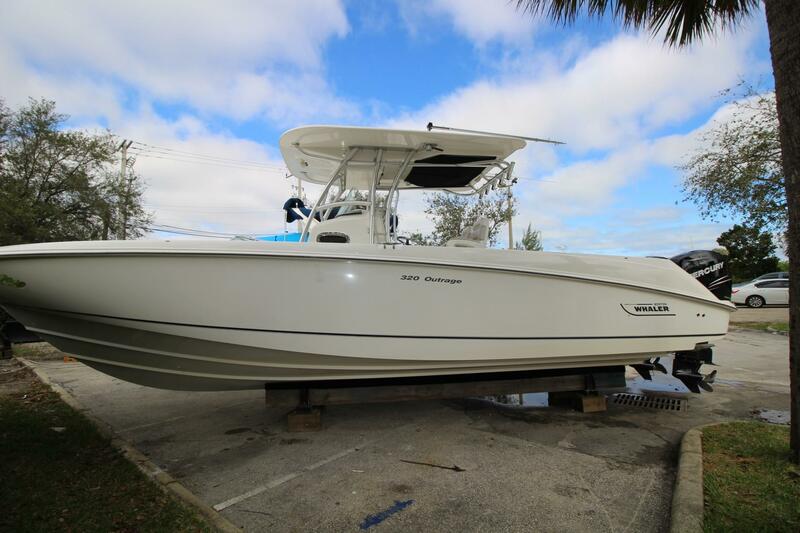 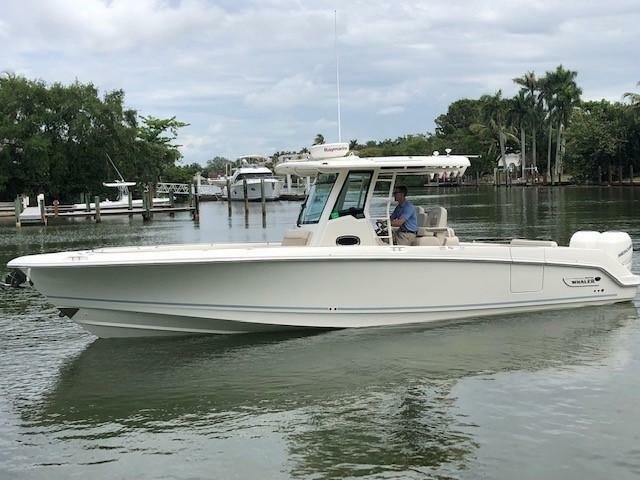 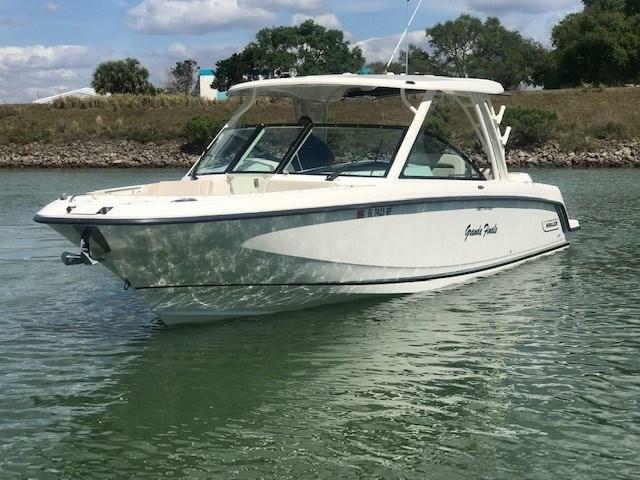 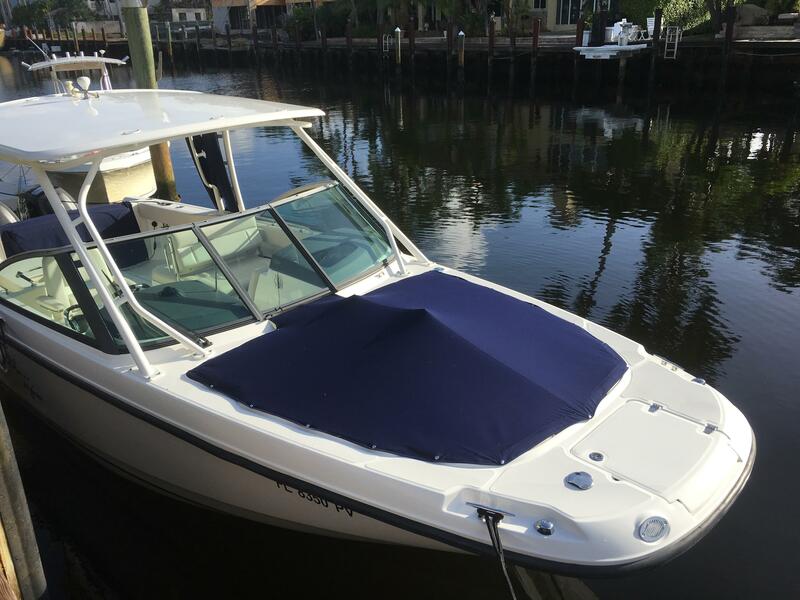 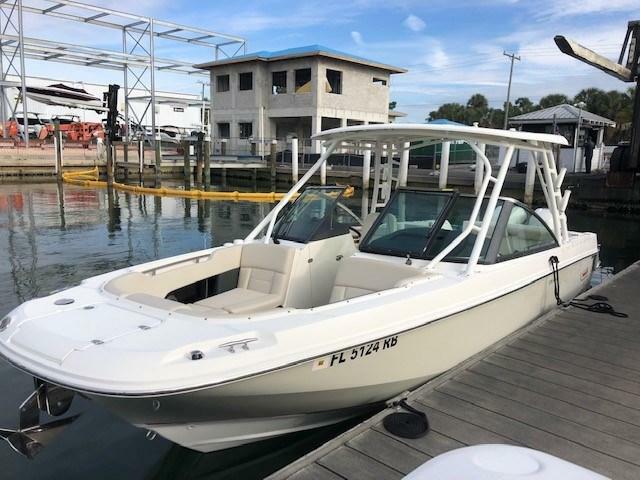 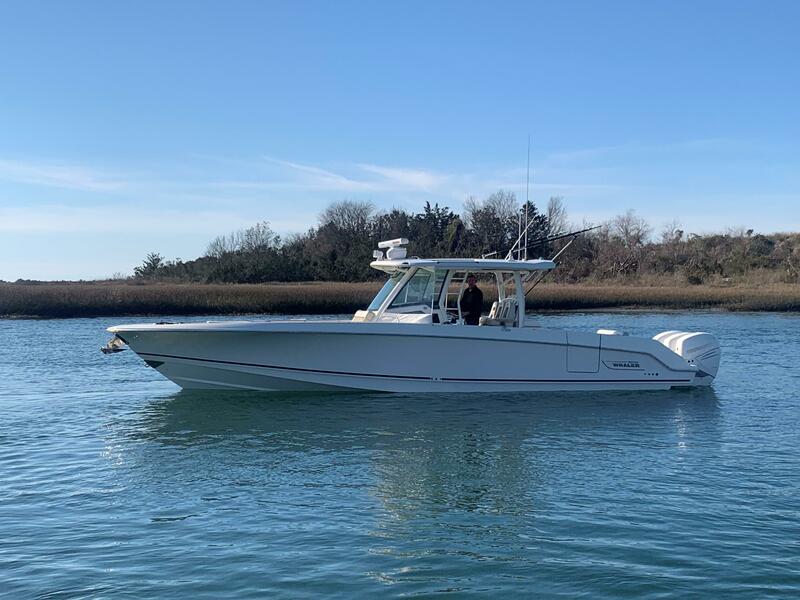 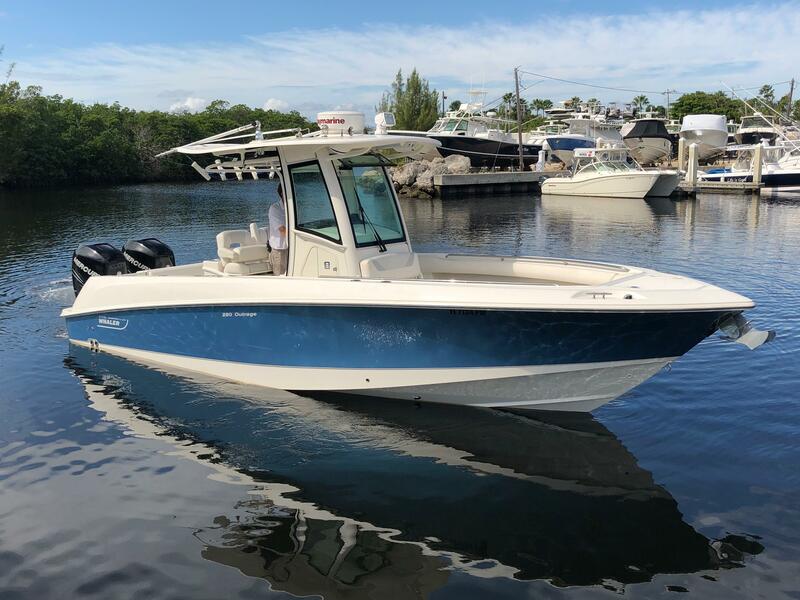 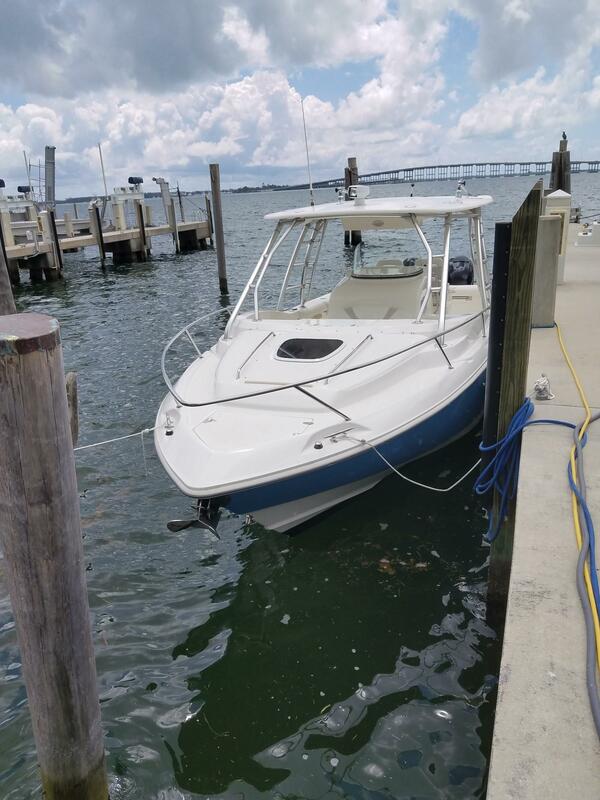 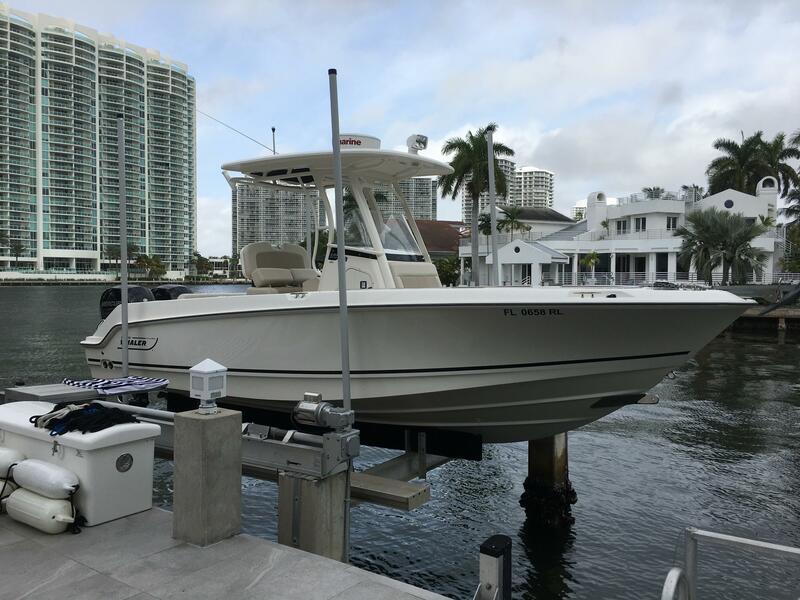 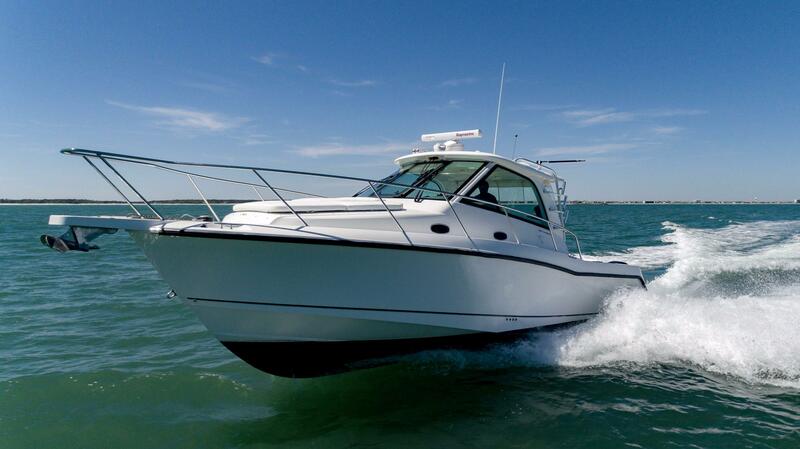 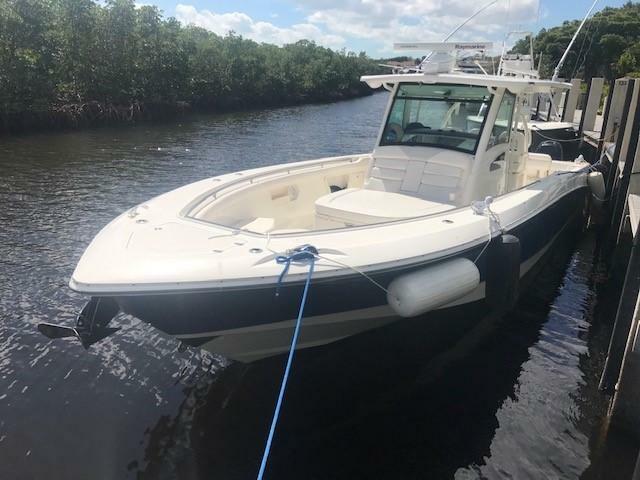 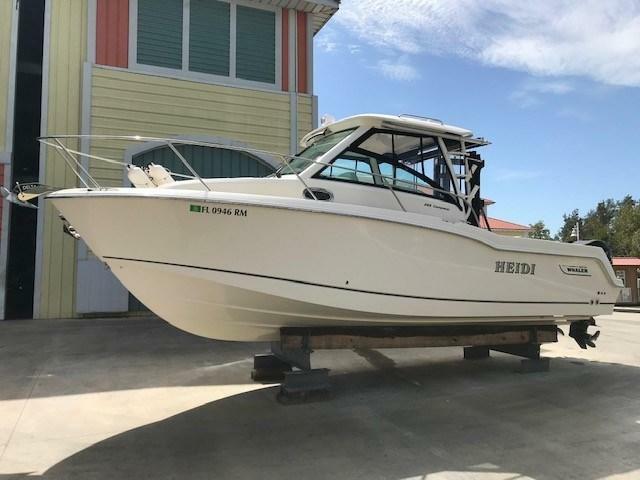 The market for used Boston Whaler's is constantly changing, if you would like to stay up to date on Whalers for sale, email our Boston Whaler boat brokers using the email button on this page and check our used Boston Whaler page often. 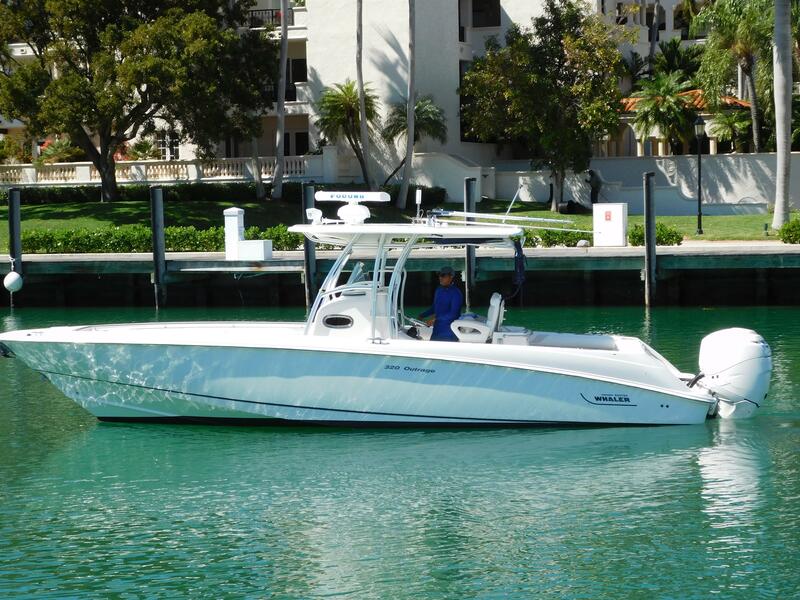 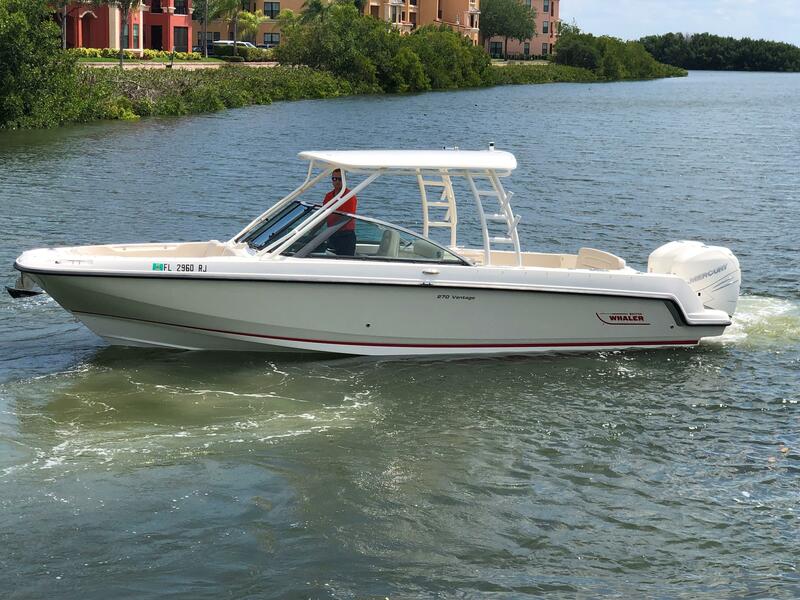 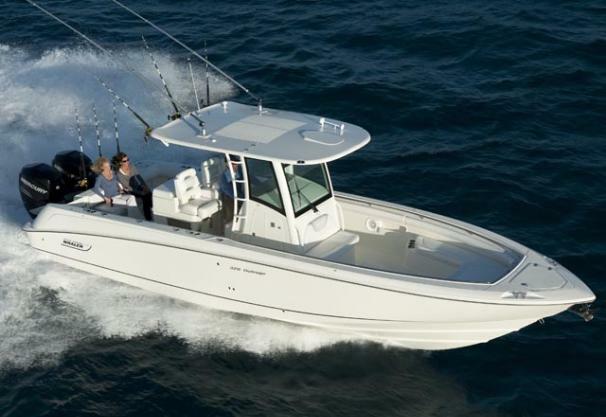 Boston Whaler is an American boat manufacturer founded in 1958. 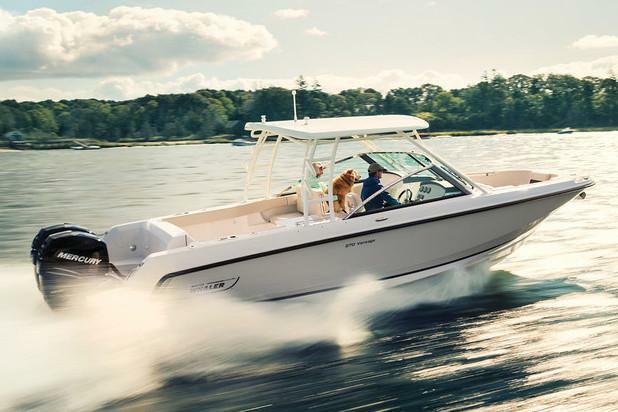 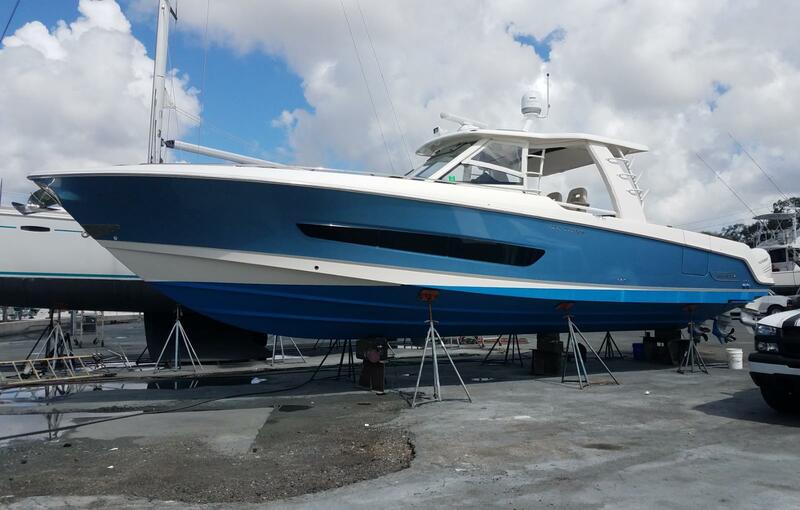 The boats were originally built in Massachusetts and are currently manufactured in Edgewater, Florida. 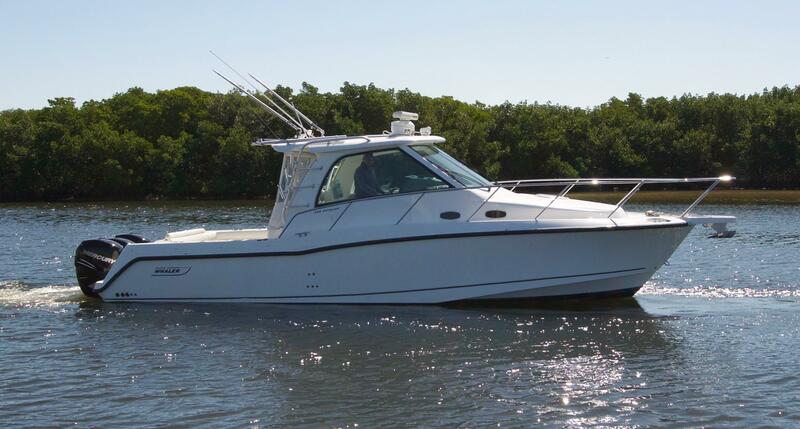 They have a trademarked sales line: 'the unsinkable legend' and used to show advertisements with boats sawed in half.The company builds a few different models: the Outrage or Center Console, the Conquest which is an Express Cuddy Cabin, and the smaller outboard models are the Montauk, Dauntless and Super Sport. 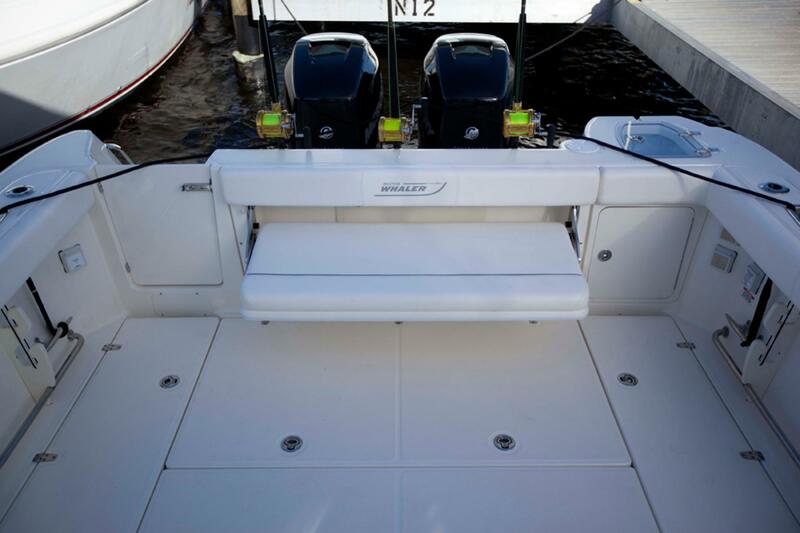 These models range from 11 feet all the way to the flagship 42 foot Outrage Center Console.